Lady A is the most notorious blackmailer in the city. With just a mask and a gown to disguise her, she sweeps into lavish balls and exclusive events collecting the most valuable currency in 1725 London-secrets. But leading a double life isn't easy. By day Lady A is just a seventeen-year-old girl named Arista who lives in fear of her abusive master, Bones, and passes herself off as a boy to move safely through the squalor of London's slums. When Bones attempts to dispose of his pawn forever, Arista is rescued by the last person she expects: Jonathan Wild, an infamous thief who moves seamlessly between the city's criminal underworld and its most elite circles. Arista partners with Wild on her own terms in order to save enough money to buy passage out of London. Everything changes when she meets Grae Sinclair, the son of a wealthy merchant. Grae has traveled the world, seen the exotic lands Arista has longed to escape to her whole life, and he loves Arista for who she is-not for what she can do for him. Being with Grae gives something Arista something precious that she swore off long ago: hope. He has promised to help Arista escape the life of crime that has claimed her since she was a child. But can you ever truly escape the past? Secret-life shenanigans in 18th-century London. Seventeen-year-old orphan Arista survives by helping her vile and violent employer blackmail the aristocracy. As the public face of their extortion racket, she slips in and out of costume balls to deliver messages to and collect payments from sleazy courtiers. When, in the line of duty, she crosses paths with an attentive masked stranger, they are both thrown by the force of the instant attraction between them. But the course of true love never did run smooth, and this romance rehashes many timeworn tropes en route to its inevitable happy ending. Arista as a character remains elusive; her inner life is essentially just a loop of vigilant worry, and the third-person perspective puts her at an additional remove. She's street-smart, but is she intelligent? The novel might find an audience among readers who enjoy both the predictability of the romance genre and the warrior ferocity of Buffy the Vampire Slayer, but the dialogue lacks the humor and warmth of the latter, and at times, the tale sags under the weight of its own overwrought exposition. Conversational anachronisms like "okay" and nagging plot holes-like how the nearly feral Arista can pass for middle-class in daily life-further disrupt the narrative momentum. The overall effect is that the tale is underbaked; perhaps the planned sequel will help it set. (Romance. 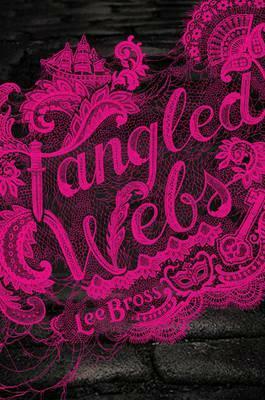 12 & up) Kirkus"
Lee Bross is the author of Fates and the forthcoming Chaos, written under the pen name Lanie Bross.